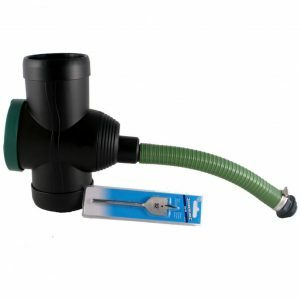 Applying rainwater filters to the water your rainwater harvesting system collects is essential. Rainwater itself is clean but leaves, moss and other debris can come off the roof into your rainwater system. 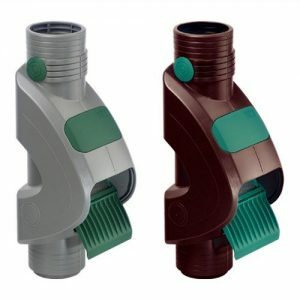 Leaf filters provide initial filtration of the water that comes in via gutters and downpipes. This is necessary to ensure that leaves and other debris are removed prior to storage of the rainwater. Remember to clean out your rainwater filters periodically to ensure water quality is consistently high. Doing so will extend the life of your system. 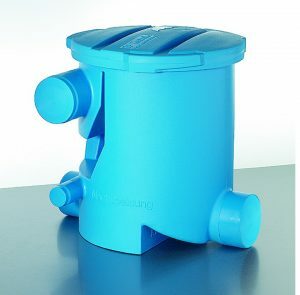 When using water for toilet flushing, it’s also advantageous to use a fine particle filter like the Hydra Rainmaster (included in all our domestic rainwater harvesting systems) This fine particle filter acts as protection, ensuring no small particles get into toilet valves, where they can cause damage and blockages. 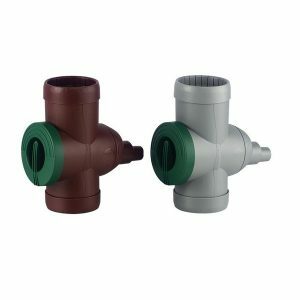 Downpipe filters that are installed on the downpipe and discharge leaves out, allowing clean water to carry on down the pipe to the rainwater system. Underground filters that are installed below ground intercept leaves prior to a rainwater tank. Fine particle filters which are installed in the house after a pump to clean water upon entry to the property. Order online for shipping across the UK. 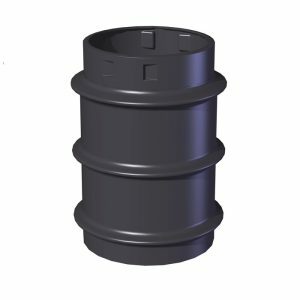 For advice on choosing the right rainwater filer or help with installation, contact our friendly technical team on 01844 877030. 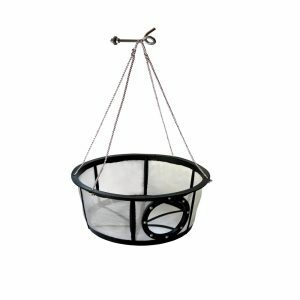 View Basket “Volume Rainwater Filter” has been added to your basket. 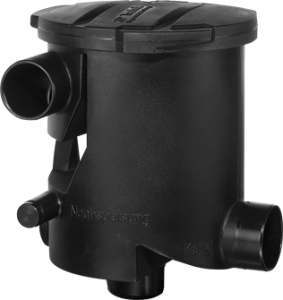 The Pre-Filter MAXI is a simple yet highly effective leaf filter for removing leaves from rainwater prior to entry into a storage tank or drainage field. 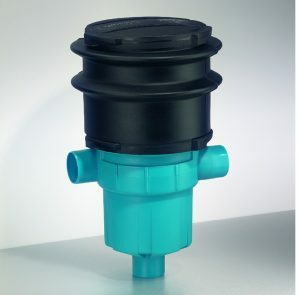 The Extension for the MAXI Filter allows the filter to be installed deeper in the ground. 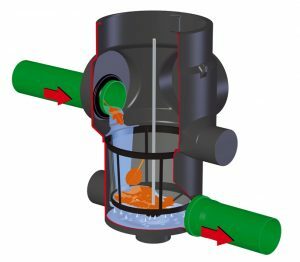 The VF1 Leaf filter, designed for underground installation effectively removes leaves from rainwater. It has self cleaning properties make this an ideal filter for using before a rainwater harvesting system. 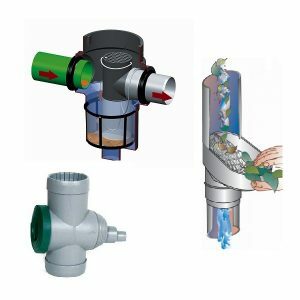 The VF1 Leaf filter with telescopic extension, designed for underground installation effectively removes leaves from rainwater. 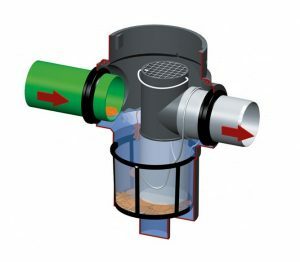 It has self cleaning properties make this an ideal filter for using before a rainwater harvesting system. 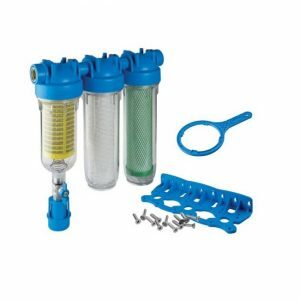 The class-leading Universal Filter Collector filters and then diverts harvested rainwater to maintain the highest quality tank water. 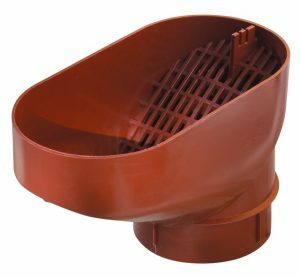 The Filter basket for Shallow tanks has a 110mm inlet hole at the side of the basket, allowing the filter to be fitted over the inlet pipe of the rainwater tank, optimising tank volume and keeping leaves free from the stored water. The Leaf Catcher collects debris such as leaves or moss from rainwater as it is harvested. 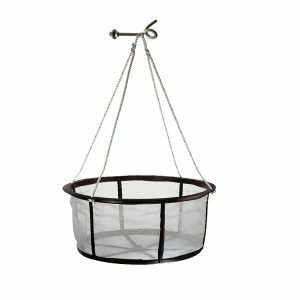 The Filter basket for the MAXI Plus is a highly recommended accessory to enable the easy removal of leaves from the MAXI Plus filter.